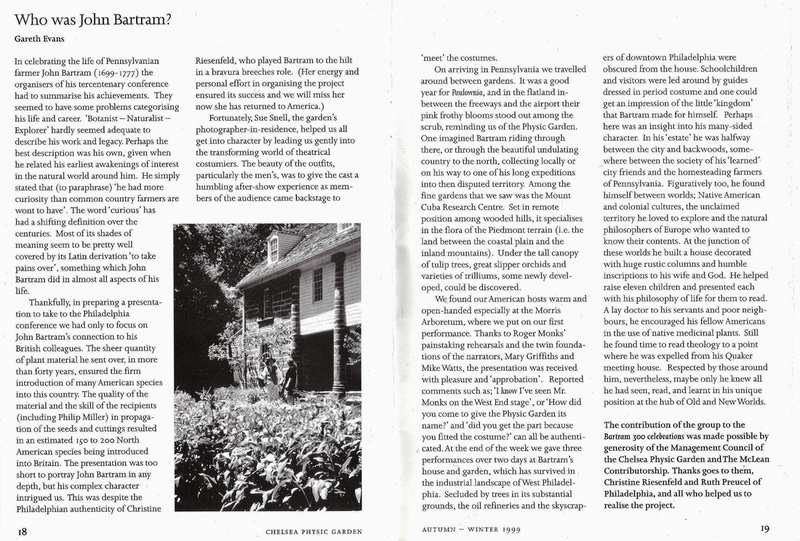 After taking part in the Bartram Tercentary in 1999, Gareth Evans outlines the life and character of the man described as America's first botanist. Herbs, vol. 24 no. 3 1999. 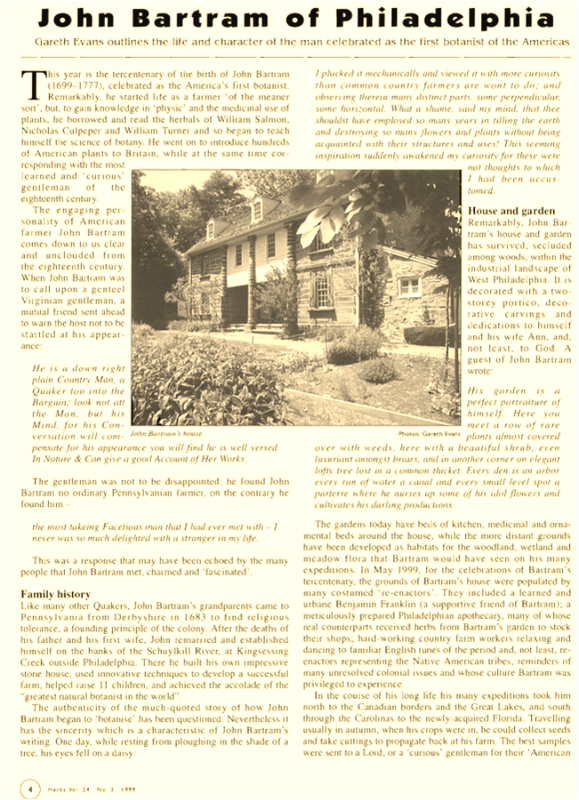 ﻿﻿The Correspondence of John Bartram. Edmund & Dorothy Smith Berkeley, The University Press of Florida (1992). ‘The Medical Botany of John Bartram’, Christopher Hobbs, Pharmacy in History Vol. 33 (1991).